Jeopardy! is a fairly harmless show, kind of like Wheel of Fortunes‘ know-it-all younger brother. However, the show might just represent one of the most pervasive gender issues in society today. According to Slate, in the past 30 years, 39.9% of all Jeopardy! contestants have been women, but they’ve only won 30.3% of games. Last year, Sandie Baker became just the third woman to have a winning streak of six games or more. On the other hand, 20 men have accomplished this feat. The top five winningest contestants of all-time? All men. Why do men seem to perform better? Well for one, the show’s questions are biased towards males. One analysis from Salon determined that of 251 possible questions about people, 199 were men, while only only 52 were women. 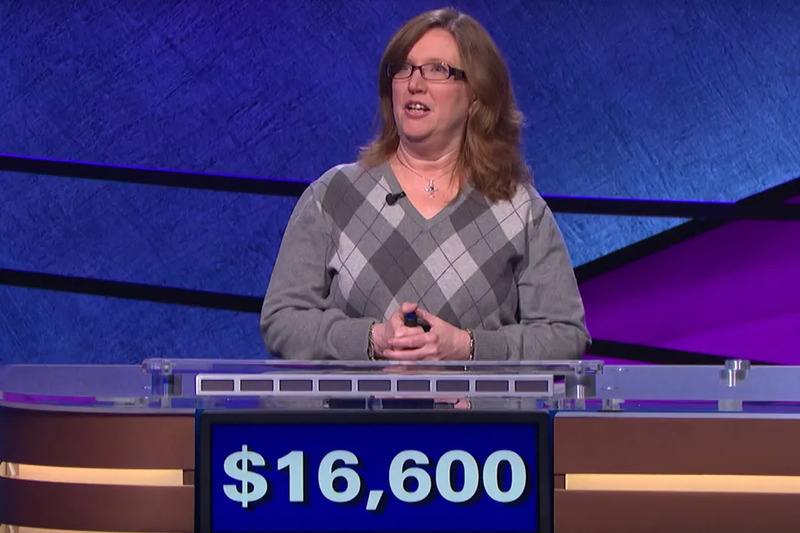 Additionally, 33 percent of “gender specific categories” referred to women and only 33 percent of Final Jeopardy categories were about women (Side note: even when women are mentioned, it’s not always flattering. In the category “Someone’s in the Kitchen,” for example, women made up four out of the five answers). One explanation for this has to do with the gender gap in Hollywood. The show staffs seven male writers and five male researchers, but only two female writers and two female researchers. However, this doesn’t really account for the difference in performance. While women have to answer a disproportionate amount of “masculine” questions, they don’t actually perform that much worse. Women correctly answered 62.3 percent of Daily Double questions compared to 67.8 percent for men. The biggest disadvantage comes from betting strategies. A study from two Swedish researchers, Gabriella Sjogren Lindquist and Jenny Save-Soderbergh, found that women wager 25 percent less when they’re competing against two men. These results echo a 2009 study which found that girls educated in co-ed schools were less likely to take risks than those educated in girl only schools. To Lindquist and Save-Soderbergh, this gender difference in risk taking habits could be an explanation as to why there are fewer women at the top end of the wage distribution scale. In male dominated fields, like the business world for example, women might be “socialized to play it safe” when competing against men, meaning they take less risks and reap lower rewards. Does 'Jeopardy' Air Before or After 'Wheel of Fortune' Where You Live? What's the Most Money You Can Win on 'Jeopardy! '?